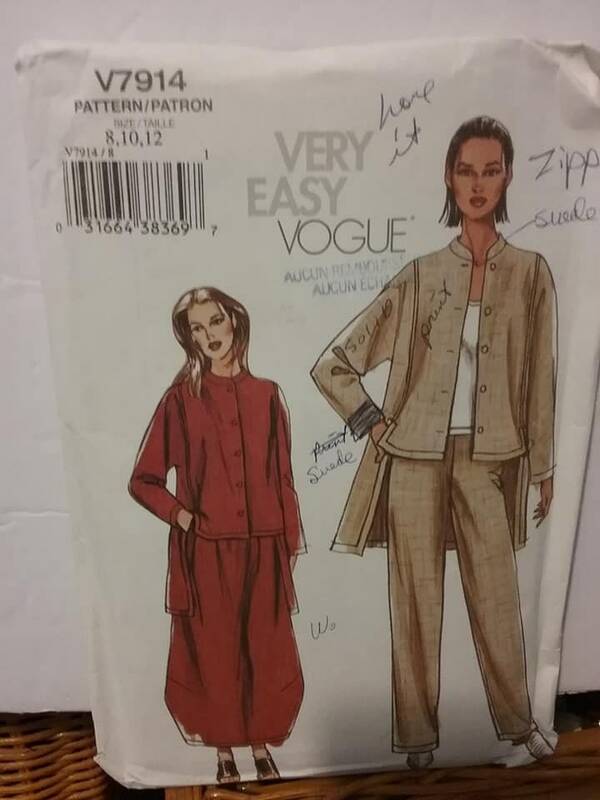 Vogue pattern V7914 for a two piece suit, women's sizes 8,10, and 12. Part of the, Very Easy Vogue Collection. 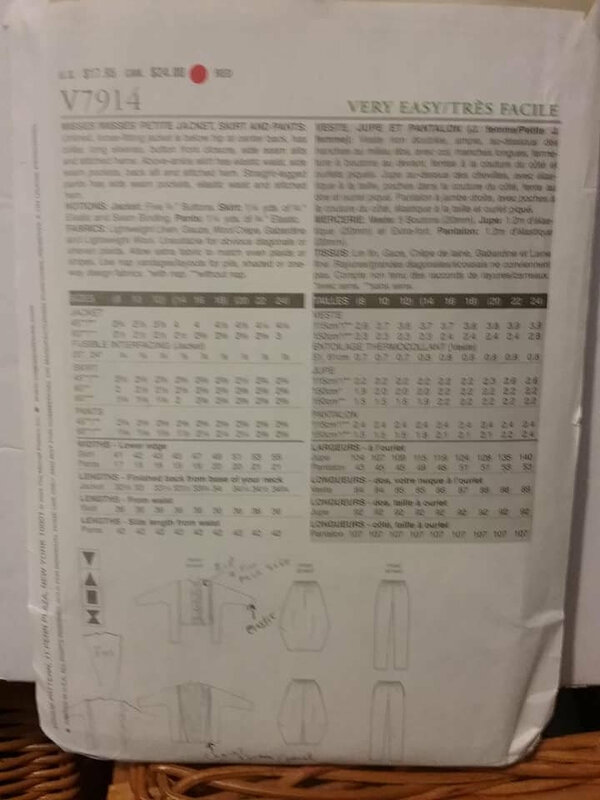 Make a jacket, skirt and pants.